Mr. Fine has served as a member of the Board of Directors of Premier, Inc. and the Management Committee of Premier Services, LLC since October 2013. He served previously on the Board of Directors of Premier Healthcare Solutions, Inc. from 2003 through 2009. Since 2000, Mr. Fine has served as the President and Chief Executive Officer of Banner Health, which is one of our member owners. 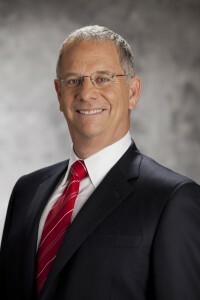 Mr. Fine currently serves as a member of the Board of Directors of Banner Health. In addition, he previously served on the Boards of Directors of Accuray Incorporated and the Translational Genomics Research Institute and as member of the Heard Museum Board of Trustees. Mr. Fine obtained his bachelor’s degree from Ohio University and Master of Arts in Healthcare Administration from George Washington University.